OverviewWonder Boy is back and trouble has brewed in Monster Land. 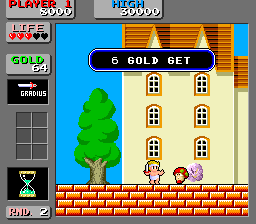 This is the second in the Wonder Boy series, developed by Westone and published for many consoles and home computers, occasionally with whole new graphics. Now you can add videos, screenshots, or other images (cover scans, disc scans, etc.) 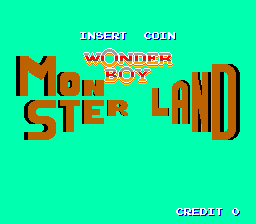 for Wonder Boy in Monster Land (English bootleg set 2) to Emuparadise. Do it now!